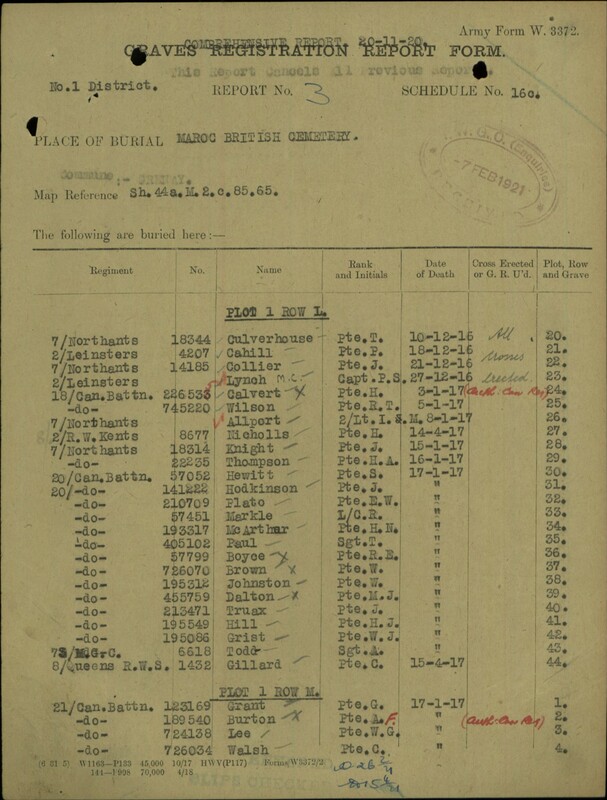 Source: January 1917 War Diary research. 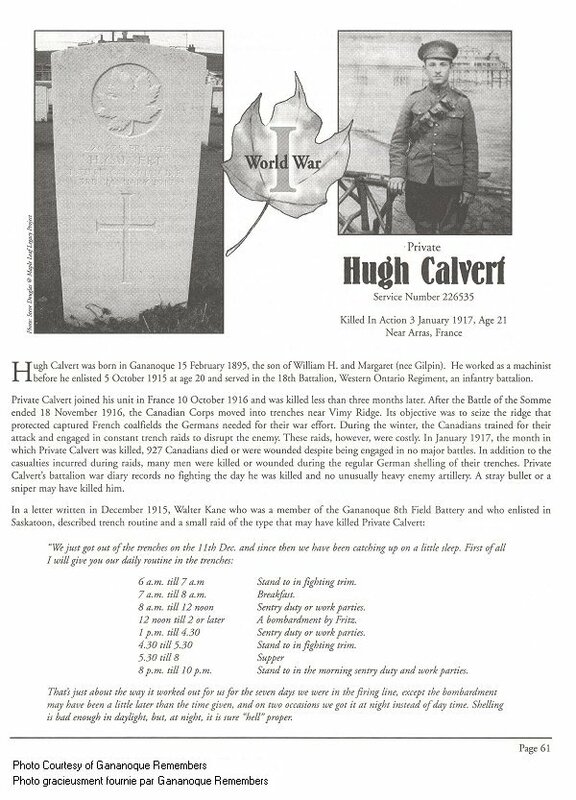 Hugh Calvert was born in Gananoque 15 February 1895, the son of William H. and Margaret (nee Gilpin). 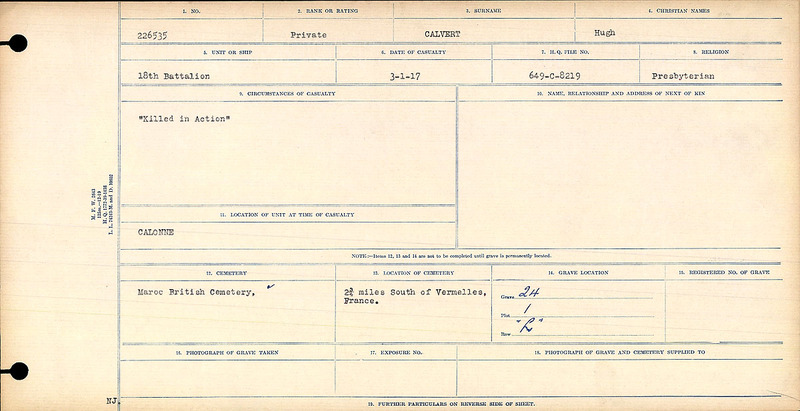 He worked as a machinist before he enlisted 5 October, 1915 at age 20 and served in the 18th Battalion, Western Ontario Regiment, an infantry battalion. 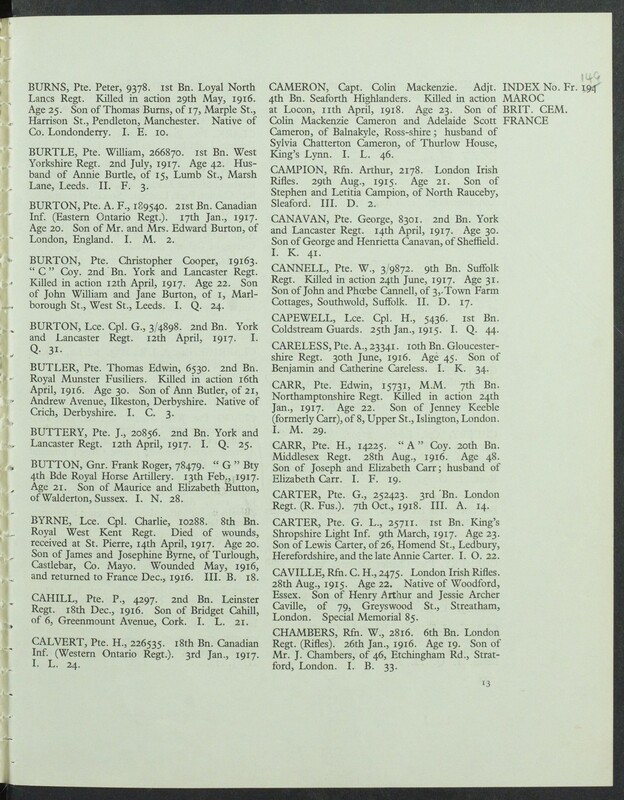 Private Calvert joined his unit in France 10 October, 1916 and was killed less than three months later. After the Battle of the Somme ended 18 November, 1916, the Canadian Corps move into trenches near Vimy Ridge. Its objective was to seize the ridge that protected captured French coalfields the Germans needed fro their war effort. 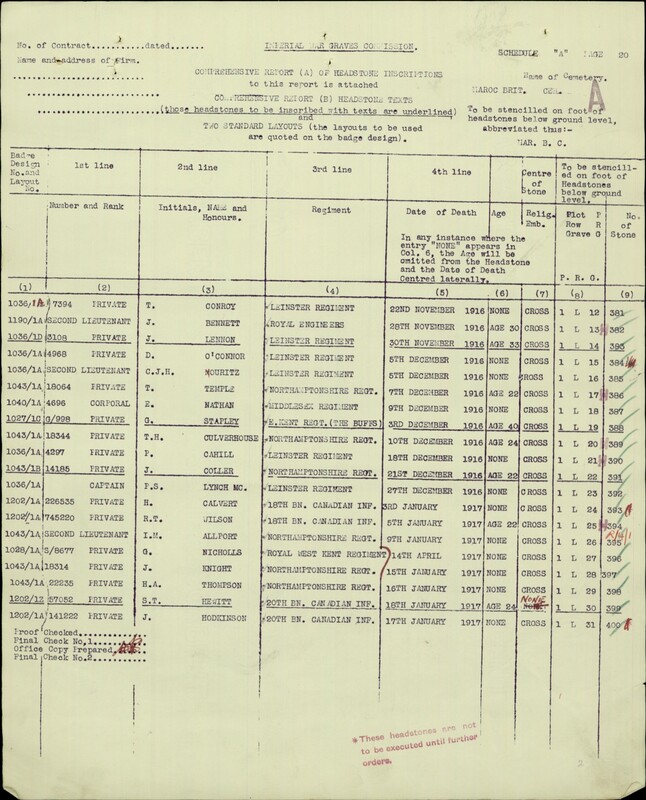 During the winter, the Canadians trained for their attack and engaged in constant trench raids to disrupt the enemy. These raids, however, were costly. 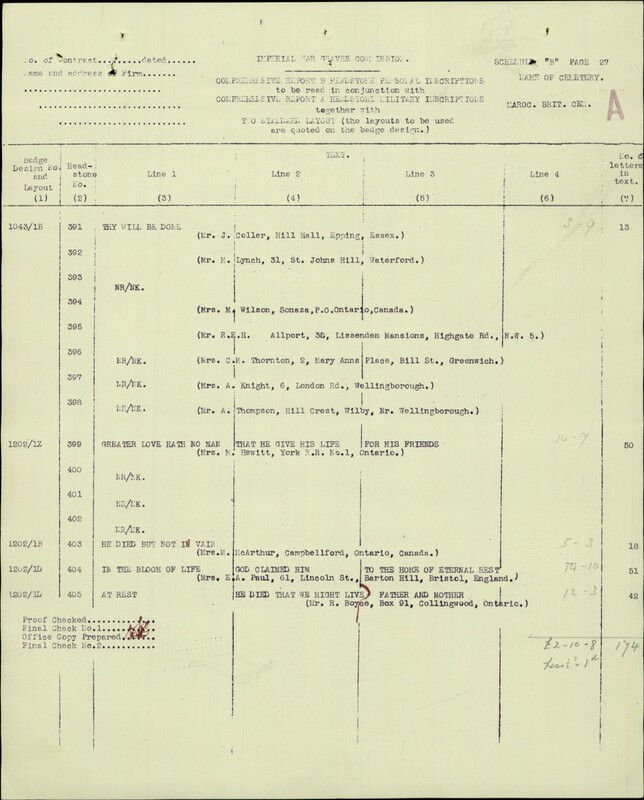 In January 1917, the month in which Private Calvert was killed, 927 Canadians were killed or wounded during the regular German shelling despite there being no major battles. In addition to the casualties incurred during raids, many men were killed or wounded during the regular German shelling of their trenches. 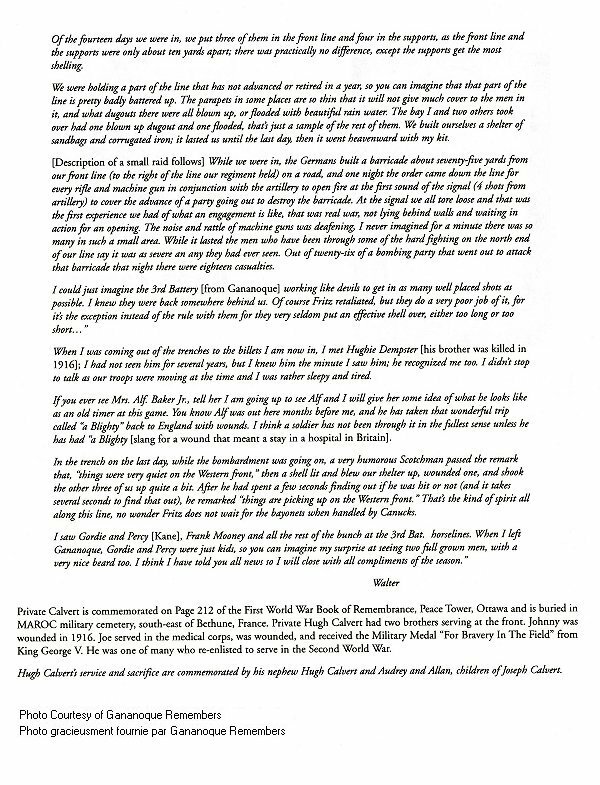 Private Calvert’s battalion war diary records no fighting the day he was killed and not unusually heave enemy artillery. A stray bullet or a sniper may have killed him. 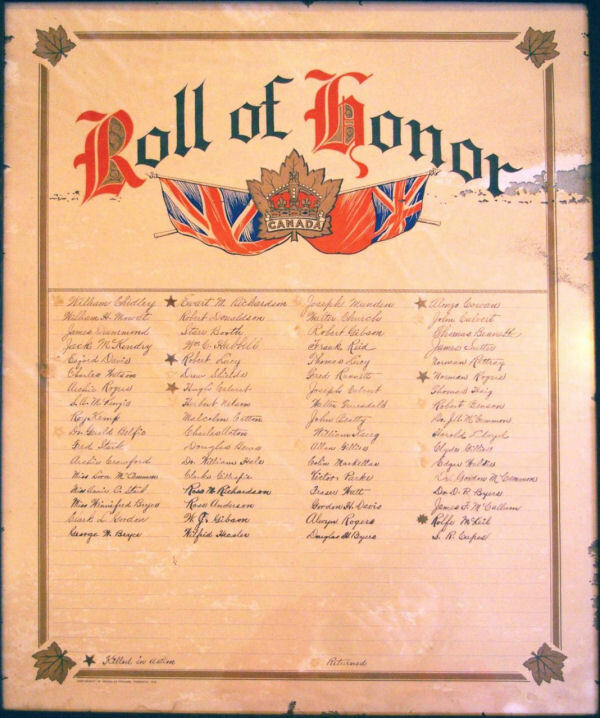 Roll of Honour – St. Andrew’s Presbyterian Church, Gananoque. Photo courtesy of Chris Andrew. Via CVWM.